The fourth D23 Expo was held on August 14–16, 2015 at the Anaheim Convention Center in Anaheim, California. Walt Disney and Pixar Animation Studios presented first looks of The Good Dinosaur, Finding Dory, Zootopia, Moana, and Toy Story 4. Marvel Studios presented footage from Captain America: Civil War and stills from Doctor Strange, while Lucasfilm presented Star Wars: The Force Awakens. Walt Disney Pictures showcased Alice Through the Looking Glass, The Jungle Book, Beauty and the Beast, Pirates of the Caribbean: Dead Men Tell No Tales, Pete's Dragon, The Finest Hours, and The Queen of Katwe. 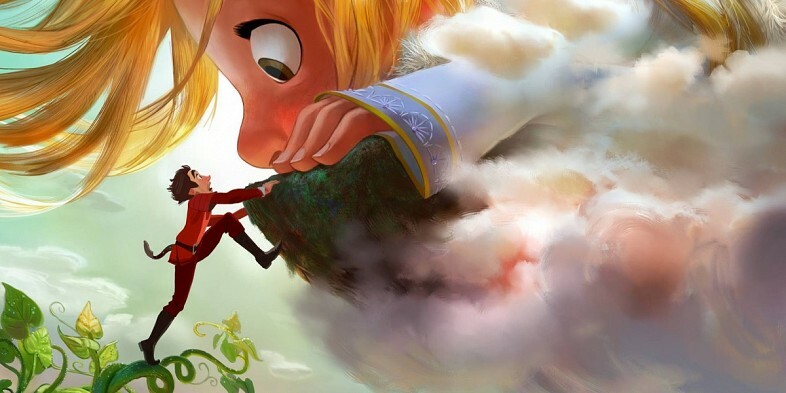 Announced at D23, Gigantic isn’t the first Jack and the Beanstalk movie that’s come out of Disney. That honor goes to the short film Mickey and the Beanstalk. Whether Gigantic can fill that little film’s very big shoes remains to be seen. 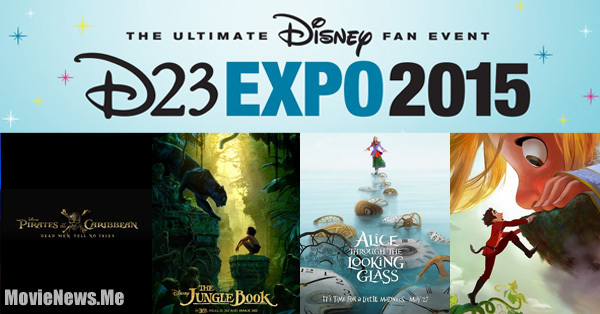 D23 EXPO 2015: WALT DISNEY ANIMATION STUDIOS PRESENTS EXCITING NEW FILMS TO LOOK FORWARD TO! But this time around, Disney is determined to make the “definitive” version of the classic fable, though it strays even further from tradition than Mickey’s. "Set in Spain during the Age of Exploration, Disney’s “Gigantic” follows adventure-seeker Jack as he discovers a world of giants hidden within the clouds. He hatches a grand plan with Inma, a 60-foot-tall, 11-year-old girl, and agrees to help her find her way home. But he doesn’t account for her super-sized personality—and who knew giants were so down to earth? " Nathan Greno (Tangled) will direct, Dorothy McKim (Get a Horse!) will produce and Frozen songwriters Robert Lopez and Kristen Anderson-Lopez have signed on to pen the music. This will mark the first time collaboration between Lopez, Anderson-Lopez and Greno, who had previously worked with Alan Merkin on the music for Tangled. It’s a lineup that clearly knows how to make a Disney movie; McKim was a production supervisor on classic hits Beauty and the Beast and Oliver and Company. Based on the concept artwork released, it looks like Gigantic will most closely resemble Frozen stylistically. Gigantic will arrive in theaters in 2018. "Alice Through the Looking Glass" revisits Lewis Carroll's beloved stories with an all-new new tale that travels back to Underland - and back in Time. Returning from the original movie are Mia Wasikowska as Alice, Johnny Depp as the Mad Hatter, Helena Bonhan Carter as the Red Queen and Anne Hathaway as the White Queen, and Sacha Baron Cohen plays a new character called Time whose powers allow Alice to visit the Wonderland characters at different times in their lives. Because of this, we’ll be seeing some of the characters’ prequel stories to the classic Lewis Caroll story of the same name. Since Tim Burton was busy making Miss Peregrine’s Home for Peculiar Children, Alice Through The Looking Glass was directed by James Bobin, whose first two feature films were The Muppets and Muppets Most Wanted. The screenplay was written by Linda Woolverton, who also scripted last year’s highly successful live-action Disney film Maleficent. These character posters were unveiled during D23, a bi-annual convention during which Disney presents teases for the studio’s biggest upcoming movies. 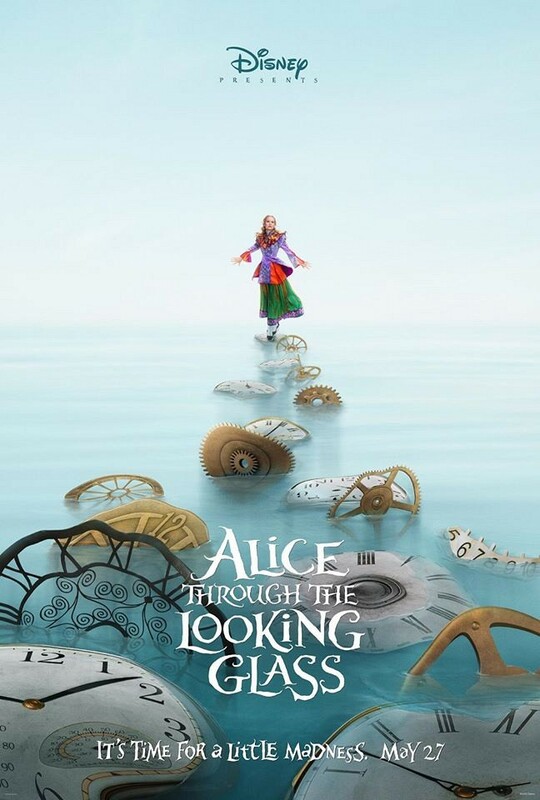 Alice Through The Looking Glass arrives in cinemas on May 2016. 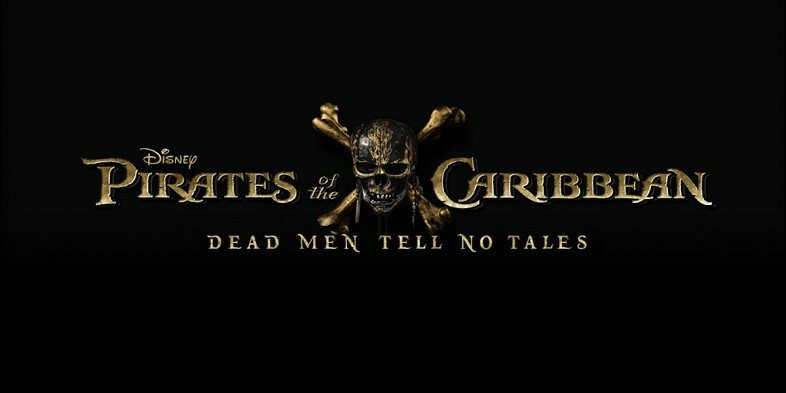 Pirates of the Caribbean: Dead Men Tell No Tales is the announced fifth film in the Pirates of the Caribbean film series. It will be produced by Jerry Bruckheimer and will star Johnny Depp as Captain Jack Sparrow once again. Jeff Nathanson is writing the screenplay. 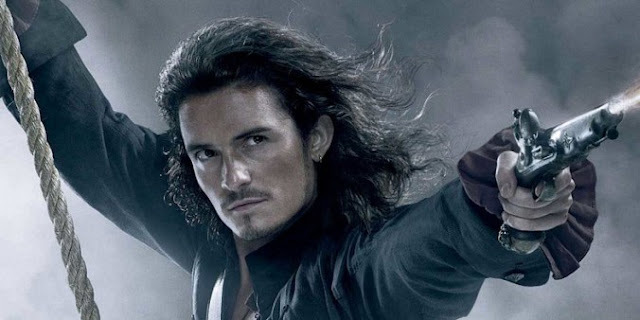 Bloom’s character was last seen in 2007’s “At World’s End,” where he replaced Davy Jones as captain of the Flying Dutchman, cursed to spend only one day on land for every 10 years at sea. How big of a role he’ll have in the fifth “Pirates” film wasn’t revealed by Disney Studios Chairman Alan Horn, naturally. He joins returning franchise star Johnny Depp as Captain Jack Sparrow, whose ghostly nemesis Captain Salazar (Javier Bardem) escapes from the Devil’s Triangle, determined to kill every pirate at sea. Jack’s only hope of survival is to find the Trident of Poseidon, a legendary artifact that grants its possessor complete control over the seas. Directed by Joachim Rønning and Espen Sandberg, “Pirates of the Caribbean: Dead Men Tell No Tales” also stars Geoffrey Rush, Brenton Thwaites, Kaya Scodelario, Kevin McNally and Stephen Graham. The film opens July 7, 2017. 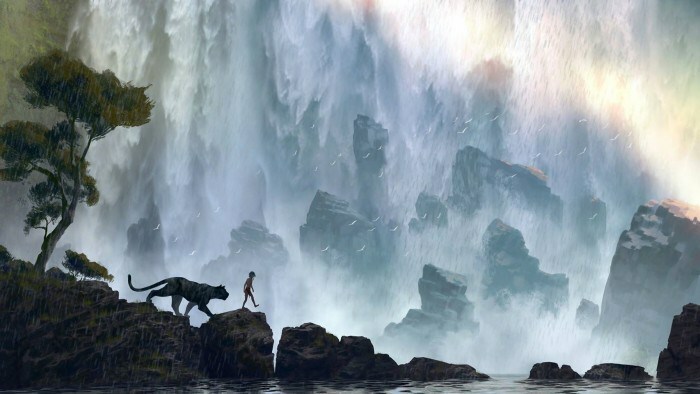 Disney took the stage at the D23 Expo to present a new poster for The Jungle Book. New footage was also shown receiving a standing ovation from the crowd. Sean Bailey, president of production at Walt Disney Studios, introduced the film and explained how they not only wanted to honor the integrity of the 1967 animated film but also Rudyard Kipling’s original novel. 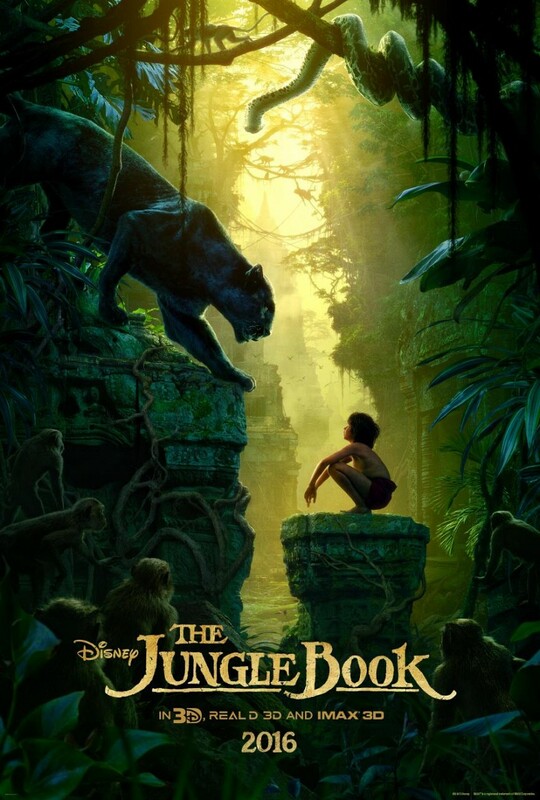 The Jungle Book arrives in cinemas April 2016. Also available in 3D from Walt Disney Studios Motion Pictures International through Columbia Pictures.